Advanced Physical Medicine’s Matteson clinic provides a wide range of services to meet all of our patients’ health needs. Whether you are recovering from surgery, auto accident injury or are seeking treatment for sports injury, our Matteson physical therapy clinic will get you back to optimal health. Our comprehensive, non-surgical approach is ideal for your body’s full recovery. Along with physical therapy, we offer many additional services to help our clients feel their best. Our services include evaluation and treatment by neurosurgeons, chiropractic physicians, physical therapists, acupuncturists, and massage therapists. We also specialize in weight-loss programs complete with personal training and nutritional therapy. 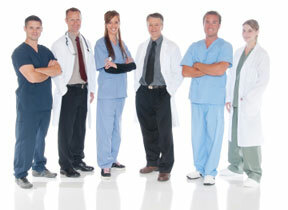 Our professional staff is dedicated to helping you achieve all of your health goals. Let us help you lead a better life, contact us today. I love Advanced Physical medicine! They know what they are doing and the staff is one of the friendliest you will ever meet. Advanced Physical Medicine - Matteson21470 S. Main St. Suite #102MattesonIL, 60443USA 5.0 5.0 1 1 I love Advanced Physical medicine! They know what they are doing and the staff is one of the friendliest you will ever meet.